Learn how to make DIY light box for product photography instead of buying expensive light box on Amazon. All you have to do is to arrange a number of low-cost lamps and attach diffusing boards to a cardboard box. With this photo light box, you won't have to depend on natural sunlight anymore and start taking high-quality pictures to sell online. How to make a light box? Make your own lightbox and start taking professional product photos at home without hiring an expensive product photographer. To make a proper DIY light box display, you need a huge cardboard box. The bigger your box is, the more extensive variety of objects of different sizes you will be able to photograph. Ask workers at nearby stores for unnecessary boxes or buy the most suitable one from a storage enterprise. In case you wish to learn how to make a lightbox for photography that will serve you for a long period of time, use durable materials. Boxes made of wood or opaque plastic are a good fit. But keep in mind that in order to cut the panels in the side of such boxes, you will need a sturdier tool, for instance, a saw. Locate the box on one of the sides for the flaps to be open in front of you. Mark a point approximately 5.1 cm (2 inches) with a ruler from every edge on the side of the DIY light box. Use a pencil to draw one line near the box's edges and connect the points. As a result, you would see a rectangle-shaped area near the edges. Don't forget to do the same on the other side. This particular area is your window which would be covered with fabric or a sheet of parchment paper. In case the box is pretty large, I suggest you scale back the size of a window so you could put a piece of paper or fabric over it. When you need the subject of a shot to be lighted from above, you may draw a window on the upper part of a lightbox for photography. Cut along each drawn line of the box with the help of scissors or a designated cutter. After you’ve finished, you would be able to extract a piece of cardboard from the middle and to see a window. The same must be done on the opposite side. In case you wish to ensure that the lines are super straight, place a ruler near the lines and cut across them. Therefore, you could not only get the best photo light box but the one that looks neat. Locate the white poster board or a thick sheet of white paper on the upper part of the DIY light box. In order to fit precisely into the box, get rid of the board's unnecessary edges using the cutter or scissors. The board must be nearly twice as large as the upper side and equal in width with the box. I advise you the white poster board. Thanks to its even surface, it won't wrinkle inside the box. Search for such a board at the nearby craft shop, it doesn't cost much. In case you have problems finding it, you may use a broad sheet of reliable white paper with a matte surface instead. In order to make your own light boxes and give them an “eternal” look, you won't find anything better than a white poster board. It will make an object look like it is photographed in a deserted area. You may even use various colors to diversify the shots. If you are going to make money through photography, read this simple but useful Going PRO book about how to become a successful photographer. As a bonus you can listen to interviews by professional photographers. Keep in mind that a chosen poster board or a sheet of paper should have a matte surface. Otherwise, a shiny material would reflect the light and your light box would be useless. Begin with the upper edge of the selected material and fasten it to one of the windows with the help of glue or tape. Then move onto the opposite sides while letting the material hang down over the window. The same must be done to all the windows of the photo light box. The next step is to put a large piece of packing or duct tape to the upper edge of the poster board. While keeping an eye on the tape, fasten it to the inside part of the light box photography closer to the upper part of the back side. Fasten the opposite edge of the board to the box's bottom using one more piece of tape Be careful not to wrinkle or fold the poster board. Make the board slightly curved by angling it along the back bottom corner. While attaching material to the DIY light box, remember to leave a pretty wide area to take shots without the cardboard being visible. Put the photo light box on a broad smooth surface. Make sure that you have the space for lights. Place the object that you want to shoot in the middle point of the white area and take a shot! Read more about how to set a home photography studio to take professional product photography of big sizes. If you take jewelry photography, I recommend reading about light boxes for jewelry photography that you can get for affordable prices. You can buy expensive lightboxes on Amazon, but you can find all the materials to make a DIY lightbox at home. Making a lightbox is rather simple if you find a square and thick cardboard box and light it. These kinds of boxes are usually being thrown away which means that you can get them for free. Visit the back of grocery stores, malls, convenience stores or any nearby places which sell products. There you could surely find a necessary box or two. For instance, I bought white muslin in the nearby craft shop. Don't forget to measure the size of the box when purchasing fabric – it must be enough to cover the whole box. White fleece and nylon are also excellent choices. As an alternative, you may use old white undershirts. For an excellent result, it's better to find shirts of the matching color. In order to get two halves of the shirt, cut up its sides. Visit a nearby hardware store and invest into several light bulbs. I don’t recommend purchasing ordinary bulbs, as they emit terrible yellow light. Instead, pay attention to “Daylight” fluorescent light bulbs which cost no more than $7 apiece. Whichever “Full Spectrum” bulb you find will be appropriate. In addition, it will be a great idea to construct a lighting fixture. For this purposes, you may use your desk lamp. In case you don't have one, visit a local building material store and look for “Clamp On Work Lights”. They typically come in two variations – with 5″ reflector dish for $6 and the 10.5″ one for $12. Bristol board is quite a massive thick paper widely used in art and drawing. Such paper first appeared in Bristol, England. As an indispensable part of your DIY light box, this board functions as the background and lines the box on the inside. Before you buy the board, take into consideration the size of the box. You might need from 2 to 3 sheets for lining the box and one for the background. It doesn't have to be necessarily white, other colors are suitable as well. In order to fasten the fabric to the sides of the lightbox for photography, you will need a tape. For example, I use ordinary masking tape so that I can easily change fabric if needed. In case you are wondering how to make a lightbox, you can't do without a knife, scissors, tape and regular ruler or a triangle. For gluing lining in the photo light box, you should purchase a glue stick in a local stationery shop or spray adhesive. First thing you need to do is to find an appropriate position of the object. Shift the camera and the object. Stop when you see a clear picture without cardboard being visible. I will unlock a small secret for beginners that face difficulties in positioning the object in the DIY light box. It’s easy to get rid of extra items by cropping the image. Read more about tablet top photography and how to take beautiful photos if you are a beginner. Creative product photography ideas to make your goods pop and stylish. If you are thinking of setting up DIY light box photography, be mindful of high-quality lighting for the photo shoot. In such case, I highly recommend directional illumination instead of ambient one. The best idea is to use one light source per each window of the DIY lightbox. The lamps should face directly into the holes of the light tent. Remember about it while positioning the light sources. The material of the box mustn’t be getting too hot. A right choice is to put the lights at the distance from the windows all the time. This rule is important when you use the new lightbox for photography for the first time. You can experiment with lighting patterns by putting the light sources away or closer to the windows. If you want to get perfect results from light box photography, find light bulbs with a cool white color. They will prevent you from getting an unattractive yellowish tinge in the final pictures. It isn’t challenging to buy low-cost office lamps and use them for making a lightbox. You should also draw your attention to models that can be attached to furniture. You will find these supplements in many online shops and local stores. They are quite useful and have reasonable prices. The main thing you should have before setting proper camera settings is a tripod. This device gives an opportunity to take longer shutter speeds and have sharp photographs as a result. Firstly, fix the camera on the tripod. Then, adjust the 2-second timer or a remote shutter release. You must be sure that equipment is steady enough. In the case of shooting with a lens that provides photo stabilization, switch off the vibration reduction or control. Read more about best tablet top tripods or best mini tripods you can you for your home product photography. The aperture can be chosen depending on the desired look of a shot. Wide aperture like f/1.8 and selective blur are recommended for food photographs. Thanks to these settings, the dishes appear tastier. At the same time, you should use a narrow aperture like f/22 for taking pictures of handmade items and other crafts. This ensures the spotless focusing. Set the focus on the area of the item that is closest to the camera. It prevents unattractive blurring in the foreground. Don’t forget about exposure compensation. Mind that +1 suits better for white backgrounds. The black backdrop requires -1. Try a half or a third of a stop, if it is too dark or too light. Watch Commercial Photography Lighting and Photoshop: Basic Still Life course by Jim DiVitale to start taking high-quality product photos even at your home studio. You can face the problem of making the background absolutely white or black having the object exposed enough. Some photographers make photo editing in Lightroom or Photoshop, which guarantees great results. 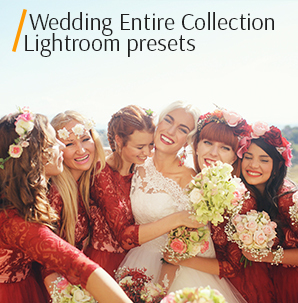 You may download Lightroom presets for product photography and make it in several clicks. If you prefer working with RAW format, first correct the white balance. In this way, the pictures taken in DIY light box won’t look yellow. You should pay attention to the color temperature of the light sources and use this information to find the ideal white balance. This adjustment can be also made manually. Just photograph a white card and calibrate white balance from that picture. The Levels allows correcting each end of the histogram. It’s a helpful Photoshop feature. The user is able to see which parts of the image are being clipped by holding down the Alt key while working with the slider. You have to keep moving the slider before you see that the background is clipped evenly but the subject is left intact. Sometimes the central subject might be influenced by the adjustment. If you need to avoid this, just scale back this action. Want the same photo editing like on the example above? Send your product photos to FixThePhoto and get professional product photo editing services for $2 per photo. If you are fond of flat lay product photography, I recommend you downloading this free Photoshop texture of paper. Looks stylish and doesn’t distract attention from your products. If you want to change your photos background – this Photoshop texture if a good decision for you. Change your table background on canvas in several clicks. This is a perfect way to adjust your product photo’s white balance in 1 click. Remove distracting yellow and green colors and make product photos clear with the help of this free Lightroom preset. Make your lifestyle product photography bright and pop. Fresh tins, clear edges, no noise, and amazing and colorful colors. 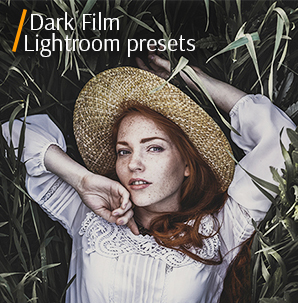 This free Lightroom preset is a perfect way to edit product photos taken in natural light. Make your product photos clear and pop in several clicks and for free. Add the natural luxury design trend to your product photo backgrounds. 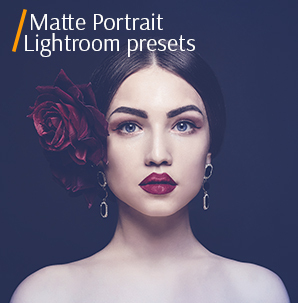 Make your photos elegant and luxurious in several clicks. This free Photoshop texture creates a luxe effect for your product photographs. Download this free texture in high resolution and add to your photo in several clicks without losing its quality. It is a free Photoshop alternative. Having download this photo editing software you can change background, make clipping path, color correction BUT it ill be more difficult and longer than in Photoshop BUT for free. This is the best software for deep color correction and basic photo editing. Choose product photos you need to edit and remove all imperfections caused by poor light and distracting shadows. A very user-friendly photo editing app to make color correction of your product photos taken by smartphone. Add filters or cut out your photo easily and fast. This is probably the only free photo editor that won’t distract your from by its constant advertisements. Here you can adjust masks and layers like in Photoshop but slower. It’s a free online photo editor you can use to correct white balance, make product photos bright, saturated, clear or add a HDR effect. Easy, fast, and without additional payments.